This summer Real Gold joined forces with our friends at Bold Tendencies to co-host the opening of their fifth year taking over the roof of Peckham Car Park to exhibit new sculpture. 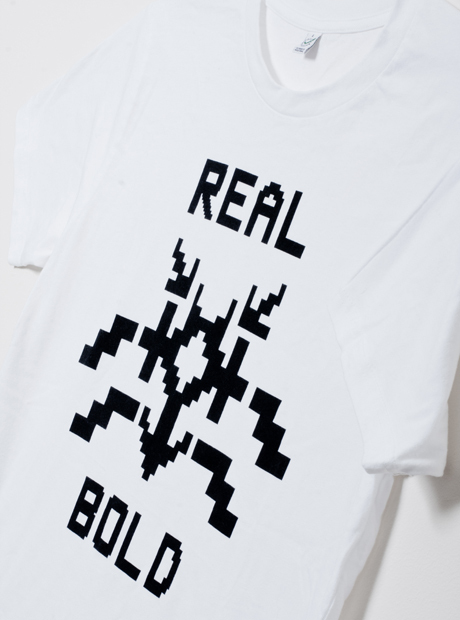 To celebrate the partnership, and the music events being hosted at the car park, we’ve released a limited run of ‘Real Bold’ t-shirts. Championing the new and bold. Monochrome print on 100% organic cotton. Bold Tendencies. Nick Richie. Real Bold. RG0012.